The date for the shop update has been decided - yay! It'll be on Wednesday the 9th at 9:00am Melbourne time. As mentioned they're reprints of previous designs but all new colourways, and the best thing is they're printed on an eco friendly hemp and organic cotton blend. Mmm that makes me feel all good inside. One little request: PLEASE if you're paying with paypal, don't close your browser window/tab until you are redirected back to my shop after paying. Otherwise the order isn't officially completed and causes all sorts of stock problems. Thanks!! Lara, the lime is just brilliant! If I wasn't having major issues with stash I'd be in that shop like Jack Robinson. Love love love it. 1. Link to the person that tagged you. 3. Share six non-important things/habits/quirks about yourself. 4. Tag six random people at the end of your post by linking to their blogs. mmh... yummy lime, so refreshing! I love the raindrops! I have been wanting some of your fabric for ages. I hope I can purchase some this time! Lara, these are beautiful! I love the new colors - perfect for spring and summer. 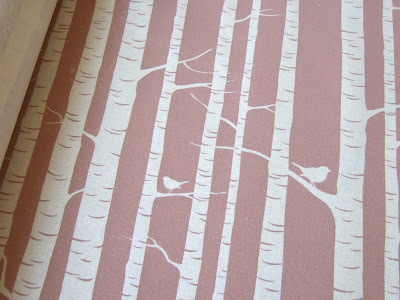 These are beautiful - I am loving Birch Forest and Raindrops! Ok....so, *thinking out loud*..... Wednesday 9am Melbourne time is Tuesday 7pm Boston time.....yay! ohhhh I love them all and also that they are eco fabrics!!! Hoping you are well! I've been enjoying reading about your adventures - and look how CUTE you look in your winter woolies! Hope you sell out tomorrow! Love the prints and new cols AND especially love the new fabric base as it means I can post about your gorgeous prints on my blog!! Oooh they look lovely. I have received my order from you but have yet to decide what I will do with it - such lovely fabric. Thank you. These are beautiful designs. Being partial to blue, those are my favorites. I love the lime! Your designs are always so pretty! *AKA Kirin Notebook, the name I gave my blog back in the day when I had a thing for giraffes (’Kirin’ - ‘giraffe’ in Japanese). 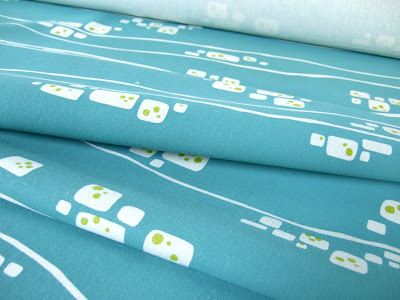 I am a Melbourne based textile designer and co-owner of Ink & Spindle, a boutique, organic and sustainable yardage screen printing studio located in Kensington. 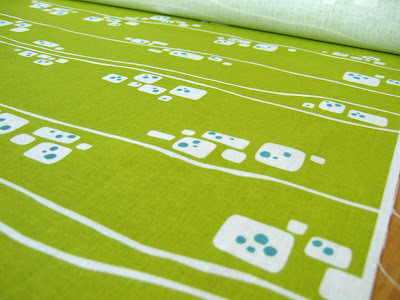 new fabric print - yay!! 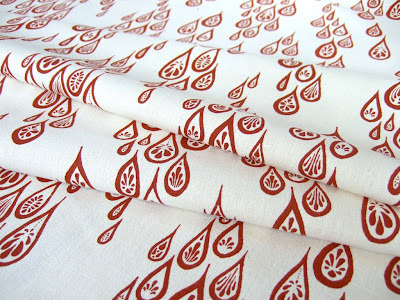 New organic eco friendly fabrics!